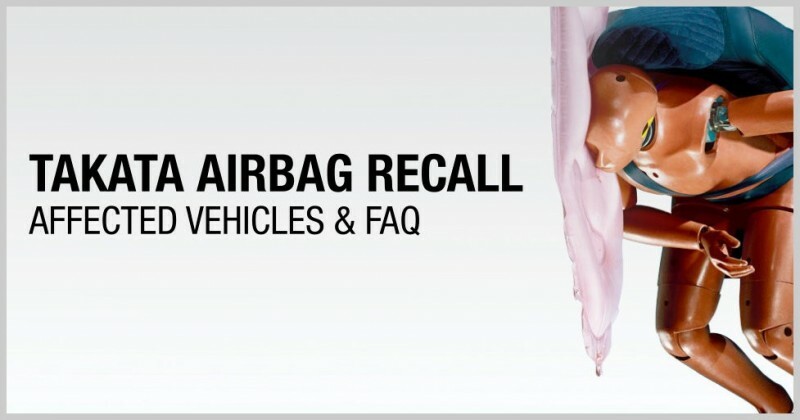 November 2014 Takata Airbag Recall Update: Is Your Car Affected? If you own a car built from about 2000 to around 2011, you have about an 11 % chance that your factory installed airbag could be deadly. There have been so many news reports about recalls in the last year, based largely on the GM ignition switch recall, that it can be hard to keep up with them all. While each automotive recall is important to take care of, this is the one recall you simply must check on immediately, as your life could depend on it. Currently there is a recall in affect in America, which will effect nearly eight million cars, trucks, and SUV’s purchased and registered in the United States and covering approximately fifteen manufacturers and almost twenty four specific models. The problem involves the potential for these vehicles to contain defective airbags supplied to the automaker by Takata. These defective airbags contain inflators and parts that could potentially propel shrapnel at your body and face like an exploding hand grenade. In addition to the shrapnel throwing inflators, the airbags may deploy improperly in the event of a crash. Word about this airbag recall began trickling in around 2013 that forced Toyota to issue a massive recall this summer. As the story unfolded, company officials at Takata began to admit that it was unsure of which cars contained these inflators, or why they were dangerous. 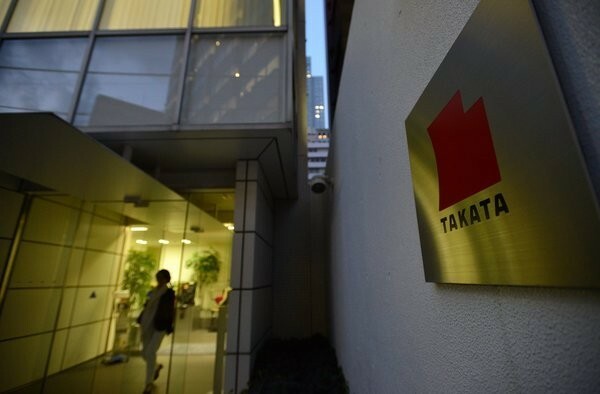 When Takata and the National Highway Transportation Safety Administration began looking into the issue, it was initially suspected that the ammonium nitrate Takata used in its airbag inflators could become unstable in the presence of persistent humidity. Southern states were first considered in what is known as a regional recall, where only vehicles located in certain geographies receive the recall. In most of the documented cases, Takata's airbags have exploded upon deployment, showering vehicle driver and passengers with shrapnel, which has so far been linked to five deaths worldwide, four of which occurred in the U.S. In July, the NHTSA mandated additional regional recalls in high-humidity areas including Florida, Hawaii, and the U.S. Virgin Islands to gather removed parts and send them to Takata for review. Then in October, another major recall was issued that expanded the affected vehicles across several brands. A New York Times report released in September found at least 139 reported injuries across all automakers. 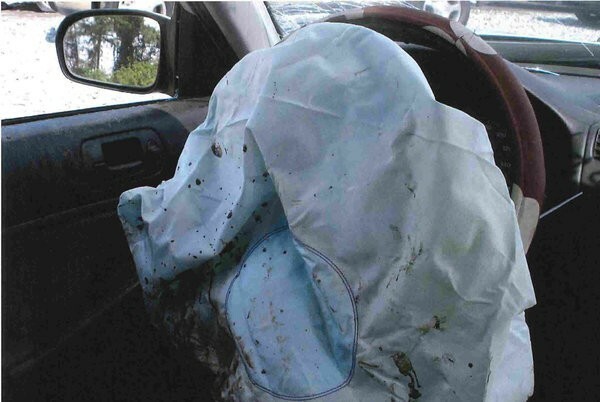 Honda specifically has had at least two deaths and 30 documented injuries from Takata airbags. The NY Times article alleges that Honda and Takata knew about the faulty inflators in 2004 but failed to notify NHTSA in previous recall filings (which began in 2008) that the affected airbags had actually ruptured or were linked to injuries and deaths. Following Takata’s initial findings where Takata claimed that propellant chemicals were mishandled and improperly stored during assembly leading to the pressure inside the canisters busting. Takata then blamed the weather for its problems in July and issued a few more recalls. Now Takata says that rust, inferior welds, and even chewing gum dropped into at least one inflator are also at fault. New documents show that Takata’s Mexico production facility allowed a defect rate that was “six to eight times above” acceptable limits, or roughly 60 to 80 defective parts for every 1 million airbag inflators shipped. The company’s study has yet to reach a final conclusion and report the findings to NHTSA. As this story continues to unfold there have been some very fast moving developments. For example The New York Times published a new report suggesting that Takata knew about the airbag issues in 2004, even going as far has conducting covert testing after hours to verify the problem. These clandestine test results confirmed that major issues with the inflators existed and engineers quickly began researching a solution. Instead of notifying federal safety regulators as is protocol with such findings, Takata executives ordered their engineers to destroy the data and dispose of the physical evidence. This occurred a full four years before Takata publicly acknowledged the problem. Senators like Edward J. Markey (D-MA.) and Richard Blumenthal (D-CT) have been outspoken in their criticism of NHTSA in recent weeks and have called for the Department of Justice to open a criminal investigation. Up till now the recall was regional, and thought to affect only vehicles located in the so-called high humidity zone. However a recent airbag failure in a 2007 Ford Mustang in North Carolina, which was not part of the original “high-humidity areas” Takata recall, has prompted the U.S. National Highway Traffic Safety Administration to issue a nationwide recall of cars equipped with the defective Takata driver’s-side airbags. This leads to this list as of today November 20, 2014. This list is likely to get longer so please keep an eye out for updates. If you own one of these vehicles, please contact your dealer immediately to find out how the manufacturer wants to handle your specific situation. Always amazing service. I wouldn't use anyone else! They always go over and beyond and take the best care of us! Highly recommended!